Mary Nell Smith Payne, 96, Summer Shade, KY passed away Wednesday, February 27, 2019 at Barren County Nursing and Rehab. Born November 25, 1922 in Kino, KY she was a daughter of the late Clyde and Minnie Ford Smith. She was the widow of the late Bernie Payne. She was a homemaker and a member of Cumberland Presbyterian Church. Survivors include, 2 daughters, Marilyn (Charles) Bartlett, Louisville, Ky and Debbie (Joe) Wyatt, Glasgow; one son Gary (Nancy) Payne, Bowling Green; two sisters Betty Johnson, Louisville and Ruth Goodman, St. Louis, MO; five grandchildren David Bartlett, Louisville, Greg Bartlett, Louisville, Emily (Will) Perkins, Bowling Green, Melissa (David) Ennis, Bowling Green, and Sierra (Clay) Robertson, Glasgow; ten great grandchildren; and ten great great grandchildren. Preceding her in death besides her parents and husband include five brothers, Joe Lee, Raymond, Cecil, Henry, and James Smith and three sisters Pauline Harlow, Mildred Dilley, and Dorothy Lowe. Funeral services will be Friday, March 1, 2019 at 1:00 P.M. at McMurtrey Funeral Home with Brother Phil Lowry officiating. Burial will follow in the Pleasant Hill Cemetery. Visitation will be Friday, March 1, 2019, 10:00 A.M. – 1:00 P.M.
Ricky Lee Traylor, 61, Summer Shade, passed away Saturday, February 23, 2019 at his residence. He was a son of the late Raymond and Thelma Johnson Traylor. He is survived by his wife of 42 years Debbie Abney Traylor. He retired from Donnelly’s and was a member of the Marrowbone Baptist Church. Survivors other than his wife include one son, David (Bridget) Traylor, Summer Shade; one brother Waymon [Chigger] (Linda) Traylor, Edmonton; one half sister Geneva Cummins, Indianapolis, IN; one half brother Butch (Helen) Traylor, Fowler, IN; and three grandchildren, Nicholas, Addison, and Ayden Traylor. He was preceded in death besides his parents by one sister, Wanda Bartley. Funeral services will be Monday, February 25, 2019 at 2:00 P.M. at McMurtrey Funeral Home with Ronnie Hamilton and Joe Milby officiating. Burial will follow in the Summer Shade Cemetery. Visitation will be Sunday, February 24, 2019 after 1:00 P.M. and on Monday, February 25, 2019 after 7:00 A.M. until time of services. 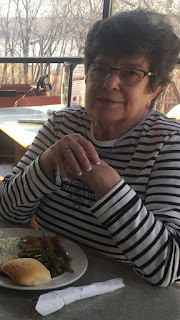 Kitty Carol Sikes England, age 80 of Glasgow passed away Thursday February 21, 2019 at NHC Healthcare. Born April 20, 1938 in Summer Shade, KY, she was a daughter of the late Guy and Martha Parrish Sikes. She was a CNA. Survivors include two daughters, Staci (Chris Kerney) Adwell of Glasgow and Judy (Billy) Jeffries of Edmonton, one sister Sue ( Billy) Hurt of Summer Shade, three grandchildren Bo Grubbs, Sandra (Craig) Jennings and Joseph (Olga) Jeffries, Two great grandchildren Michael (Singrid) Jennings and Mason Jennings as well as several nieces and nephews. A memorial will be held Saturday - March 2, 2019 from 10:00 till 12:00 at the McMurtrey Funeral Home. Russell Bryant Estes was born in Metcalfe County to the late Ralph Estes and Ova Lee Keltner Estes on April 21, 1938, and died February 19, 2019, at his home. Russell graduated in the last class to attend Edmonton High School in 1956. He continued his education, attending Western Kentucky University where he graduated with a degree in History. As someone who appreciated education, he also attended University of Louisville Law School and University of Southern Georgia. He returned to Western Kentucky University to study statistics and real estate. Russell worked in marketing at Six Flags Over Georgia before returning to Metcalfe County, where he founded Estes Realty and Appraisal Company. He grew his company by promoting the beautiful Metcalfe County farmland to people outside Kentucky. He advertised land through Mother Earth News and responded to each inquiry personally. The migrating people searching for the serenity of rural life and aided by the hospitality of Metcalfe Countians, has forever changed and enhanced the culture of the county. Russell loved to play tennis, a love which he shared with people of all ages by coaching, teaching and encouraging their participation, He never missed an opportunity to be involved with tennis, often buying rackets and paying fees, including tuition at private camps, for any child that showed an interest in tennis. During the spring, he could be found on the tennis court or following his “protégés” to various tennis tournaments. In addition to tennis, Russell was passionate about history. He enjoyed tracing his family heritage through generations which frequently led him to remote cemeteries searching for the final resting places of his ancestors. He also had a passion for preserving his family farm, passed down to him by his father and mother. He spent countless hours cleaning and restoring the historic house located on the farm. Russell is survived by many cousins and friends, who will greatly miss his wit and friendship. A Celebration of Life will be held at Bowling Park by family and friends on March 23, 2019, at 2:00 to 4:00, with remarks to begin at 2:30 followed by a dedication of the Russell Estes Tennis Courts. In lieu of flowers, contributions may be made to the Metcalfe County Athletic Department for maintenance of the Russell B. Esters Tennis Courts. Annie Mae Travis Shirley, 80, Glasgow, formerly of Summer Shade, passed away Tuesday, February 19, 2019 at Signature Health Care Glasgow. Born September 3, 1938 in Summer Shade, she was a daughter of the late Carl and Christine Buckner Travis. She was the wife of Leanis Shirley, who survives, for 59 years. She was a homemaker, worked in the Summer Shade Elementary cafeteria and a member of the Oak Grove Baptist Church. Survivors include two daughters, Shilvenna (Jim) Leskanich, Fairfax, VA and Regina Carol Shirley, Bowling Green; two sons, Vanzila (Sharon) Shirley, Bowling Green and Lanza (Jennifer) Shirley, Bardstown, KY; 8 grandchildren, Ana Marie Leskanich, Somya (Joseph) Moore, Dylan Shirley, Zander Yates, Arianna Shirley, Janiyah and Taniyah Sanders and Austin Workman; and one great grandchild Joseph Elijah Moore. She was preceded in death besides her parents by two sisters, Velma Huffman and Mable Greene. Visitation will be Wednesday, February 20, 2019, 4:00-8:00 P.M. at McMurtrey Funeral Home and burial will be at a later date. In lieu of flowers memorials may be made to the Oak Grove Baptist Church or Summer Shade Missionary Baptist Church. Gobel Earl Russell, 74, Summer Shade, passed away Monday, February 18, 2019 at T J Samson Hospital. Born June 11, 1944 in Hiseville, he was a son of the late Joe Abb and Maude Ivy Pierce Russell. He was the husband of the late Bonnie Louise Gray Russell. He was a machine operator, of the Baptist faith, and a Army veteran. Survivors include one son, Johnny (Susan) Russell, Summer Shade; two sisters Lavada (Troy) Gosser, Glasgow and Elizabeth (Larry) Lemay, Glasgow; two brothers, Avalon (Lillian) Russell, Temple Hill and Larry (Diane) Russell, Park City; and one grand child John Thomas Russell. He was preceded in death besides his parents and wife by one sister Nell Shockley and two brothers Joe and Lemuel Russell. A celebration of life will be held Saturday, February 23, 2019 at 12:00 noon at Union #2 Cemetery. Wanda Sue Traylor Bartley, 73, Summer Shade, passed away Monday, February 11, 2019 at T J Samson Hospital. Born September 9, 1945, in Glasgow, Ky., she was a daughter of the late Raymond and Thelma Johnson Traylor. She was the widow of the late Marshall Bartley. She worked at Sorenson and was of the Christian faith. Survivors include one daughter, Kim (Mitchell) Anderson; two brothers, Ricky Traylor (Debbie), Summer Shade and Waymond “Chigger” (Linda) Traylor; one grandchild, Caitlyn Melton. Funeral services will be Wednesday – February 13, 2019, at 1:00 P.M. at McMurtrey Funeral Home with Bro. Ronnie Hamilton officiating. Burial will follow in the Summer Shade Cemetery. Visitation will be Wednesday - February 13, 2019, from 9:00 till 1:00 at the funeral home. Memorials may be made to the charity of your choice and can be left at the funeral home. Emma Jean [Jeanne] Rouse Sharp, 78, Glasgow, passed away Tuesday, February 5, 2019 at University of Vanderbilt Medical Center. Born August, 24, 1940 in Sulphur Lick, KY she was a daughter of the late Fred and Susie Hodges Rouse. She worked at Hanmacher, was a homemaker, and a foster grandparent. She was a member of the Coral Hill Baptist Church. Survivors include one daughter, Sherry Sharp Busing (Wayne), Glasgow; two sons, Tracy Sharp (Jennifer), Bowling Green and Chad Sharp (Melissa), Glasgow; one sister Joyce Rouse Hood (Dascal), Bowling Green; six grandchildren, Cody Busing (Christina), Kadi Busing (fiancé Chris Yoder), Kadyn Sharp, Camden Sharp, Conlee Sharp, and Riley Simmons; three great grandchildren Baylee, McKenzie and Logan Busing; and several nieces and nephews. She was preceded in death besides her parents by two sisters, Maxine Vance and Mildred Thomas and two brothers Mitchell Rouse and Marshall Rouse. Funeral services will be Saturday, February 9, 2019 at 2:00 P.M. at White Cemetery Chapel, with Brother Ray Woody officiating. Burial will follow in the White Cemetery. Visitation will be Friday, February 8, 2019, 4:00-8:00 P.M. and on Saturday, February 9, 2019, 8:00-11:30 at McMurtrey Funeral Home and after 12:00 noon at White Cemetery Chapel.